many of these investment clubs appear during the boom time, and many people sign up with member fees over thousand dollars, when they realise is a scam and wants their money back, the company said it is a member fees and not return any cent, only a few knowhow people successfully get the money back. Can you explain the way how people get back their money? They definitely operate under the selling developer's product for "hugely discounted prices" category, and have the full 'education'/club veil to make you feel they are on your side, but I'm interested to know whether people who have used them have actually been stung or are happy with their purchase? They "sell" rubbish advice for a huge fee. typical scam company who have great speakers but dont help their clients. They also have absolutely horrible properties which they are paid higher commisions to sell to their clients. Some of theese companies do help and do proper research. I agree with Jack - having bought two properties from them I walk away with huge losses from two very substandard and hard to sell properties - run a mile!!! Any one heard of Boston One. They based in Gold Coast. They conduct seminars all over Australia and rush people to buy their property similar to scam no 1. Any one have any bad experience with them? Sounds like a "develop property with me" warcry. They get you to supply the funds and hold all the risk whilst they skim ALL the profits with NO risk. I went to a Custodian Wealth Builder's seminar many many years ago, and at the time they were pushing their properties in Aspley, Qld. I agreed with them to it being an ideal location, and bought my own property in Aspley saving myself thousands rather than buying one of their inflated properties. Before buying, compare to other stock on the market to be sure you aren't being overpriced. Anyone had any dealings with Life Capital Group? have recently been contacted by phone, to which an appointment was made with a travelling consultant. We had the consultant come round and after a discussion on purchasing property he offered us a meeting with the head office in Melbourne (we are based in Nth Qld). This is a package that includes flights and accomodation. We have been asked to provide two years of financial documents at the meeting and during the meeting we will supposedly be discussing investment properties that suit our borrowing capacity, with three members of Life Capital Group. In reading the above it seems this all fits the profile. Life capital group presented to us apprentices whilst I was in the army. Had to pay first four yrs as "fees" before seeing any equity growth. A lot of us lost a lot of cash at a young age. Yes, has anyone ever deal with Julio De Lafitte ? JDL strategies ? I was offered similar property for $438.000 two years ago in COOMERA. I don't know how or why but I feel that I got scammed after I paid $880 for the lifetime membership fee. Later on I found out that the commission they earn is around $8500 everytime they secure a deal purchasing the property. So I'd like to know what's their story? I'm having a meeting with this guys of JDL next week. I'm a 28 years old hard worker guy. I don't want give my money to the wrong person. Before I start to do anything, what's your experience with JDL? I live in Queensland and have a house south of Perth. JDL have been fine except I think that their WA data was about 5 years out of date. My new house sat empty for six months and is now rented at over a hundred dollars a week less than originally quoted. My second house in Burpengary on the north side of Brisbane is going gang busters. I wish I had two in Burpengary. JDL refuse to take any responsibility for the advice they gave me. they say it was a down turn nobody saw coming. Many people since have disagreed with them. Can I sue for bad advice? If I had two good houses I would have nothing but praise for them. But unfortunately one is bad and they have pretty much dropped me like a hot potato. Anyone heard of Ausinvest/loan market in Brisbane, also does anybody know how to check out these companys to see if they are legitimate?? any help would be apreciated. Always sign a contract subject to finance. When the valuation is done, it will be obvious if you are getting a good deal or not, bearing in mind that valuations usually come at below contract price. And if the val comes higher than the selling price, it is a good deal. Advise from investors club is given in general. At the end of the day, we all buy properties and no matter where/who we bought a property from, as long as it is in a good area, the purchaser or company have done a thorough research/due-dilligence, valuation is at contract price, then it is not logical to say and generalise that all marketing companies out there are scams. It is important to remember that we all have choices, and we cannot blame others for making wrong decisions. Exactly! In a buyer's market you can usually get away with a few special conditions that give you plenty of time to do some close-up investigations and a way out if you need one. I have also just been contacted by Life Capital Group for a " free" travelling appointment to discuss how I can use and reduce my Income Tax to invest now for retirement. I notice a lot of posts asking about certain companies. This happens a lot on the internet property forums. The short answer is if they are doing the things described in the article above be very careful. There are literally hundreds of these marketing companies and clubs, all with very similar business models. Just ask yourself, how are they being paid? I bought my fourth investment property with these guys early this year and have built a sizeable $ portfolio. Good bunch of people that walk the talk. I'm pretty sure I saw Custodian Wealth Builders on a Watch List. Wondering if this is genuine feedback or sales pitch? My wife and I attended a meeting with Life Capital recently and found it to be quite an eye opener. We are both cautious by nature and making a decision on the day to invest in a property was something we would always be reluctant to do. What we did get out of our appointment, though, was that we really need a retirement plan and property can definitely be part of that plan. Would we buy an investment property through Life Capital? - Based on our experience, no we wouldn't, but that's just us, and besides we'd rather invest closer to home. I'm sure that there are lots of Life Capital clients who have purchased and done well. Would we recommend having an appointment with Life Capital? - Absolutely. You have nothing to lose and as we were told from the outset, its your choice what you do with the information..
We are very grateful we attended the appointment as we gained invaluable insights into what we could be doing differently and we will definitely be looking at purchasing an investment property early next year. We invested with on advice from Life Capital and have lost a lot of money and are attempting to sell. The property was over priced and the fee was over $9000. We thought we were purchasing the services of industry experts. They know Melbourne and we don't. Everything they said from values to rental returns has been way off the mark! The fee seemed appropriate for the services of experts, but we feel they are not experts. I recently took the Life Capital Journey and can honestly say that i have been quite impressed and comfortable throughout the process. At first i was hesistant and skeptical on the whole idea - but after sitting down and going through the process with their team, I felt alot more secure/comfortable about it and decided to take the plunge. They do make it very clear on how they are paid and how it all works which earned a bit of my trust. The property did come in $5000 under contract price - but i am not too concerned with this as i have a close friend whos a real estate agent and she tells me that banks & valuers are quite conservative at the moment in their valuations. In my opinion - if you are not already an avid investor and you are just starting out - this is definitely a great way and a big eye opener (regardless if you purchase or not). They take the stress out of the equation if you are new to the ball game. Your close friend is real estate agent? and you paid the fee for Life Capital? Do not invest with a club/group! I did and it cost us BIG TIME!!!! Please do your research and do it yourself. Ask the bank for a discounted rate, setup and offset account for your primary residence and set the investment at a fixed rate for peace of mind. Use an agent to manage your investment property. There u go, I just saved u thousands!! Wow, 9 properties? I'd be interested to hear how these are tracking now? Anybody had dealings with Infinite Wealth in WA? Seminars on buying property - run for your life. Want to buy an investment property, start going to open houses every weekend in your own city do the due diligence yourself. Those who rely on these spruikers will get ripped off big time, and you only have yourself to blame for not researching. Anyone heard of Australian Property Investment Group? 1) Do they offer a 'one stop shop service' i.e. they refer you to the broker, the lawyer the accountant etc. 2) Does the company and it's staff they get paid by commission on each property that they sell? 3) Is it difficult to find out from the website who the real directors of the company are? 4) Do they make a lot of feel good statements about themselves e.g spruik about all the philanthropy they are involved with. 5) Do they try to associate themselves with gurus, e.g people like Richard Branson, Donald Trump or other names that they think sound impressive? 7) Do they have a part of their business that is obviously targeting young investors? 8) Is their website full of testimonials taken from people in the very early stages of their association with the company, i.e. before they have had a chance to judge the performance of the statements that have been made to them. Are the people who give the testimonials not contactable? 9) Do they claim to have staff who research the best areas for investment properties. (this is almost certain to be B/S. They sell whatever developers stock they can get their hands on). 10) Is their marketing message always "Now is the best time to buy"? Despite what many of these companies say, timing is very important. Understand the economic clock and what this represents in terms of buying opportunities. This list is by no means exhaustive but the idea is that the more of these boxes you can tick when visiting their website, the more I would stay well away. Get smart and educate yourselves on how to find a good investment property. If you reply on the information fed to you by sales people, you will almost certainly get ripped off. If you want to stay safe, look for a company that offers real estate investment education seminars or programs but does not go on to sell or recommend property on behalf of developers. These companies are unfortunately few and far between, but do exist and won't have the obvious conflicts of interest that the property marketing companies do. Really interesting post. .. For a variety of reasons but the biggest one is - why do you care about how they get paid? At the end of the day you should be able to get a deal that works for you and delivers the result you desire then WHO cares? So then the real question is WHAT PROOF do you have that what you are saying works? How do we get to know more about what properties are available or educating ourselves about their products or offerings than going to one of these seminars. . .
Perhaps we ALL need to be clear around what we need to get out of the event or investment FIRST - before we sign the paperwork - before we commit to this. . . While i am in the mortgage game, the biggest concern here is that people throw the baby out with the bathwater and the GROSS generalizations are made about all people in finance and property marketeers. . . I'm sure there are success stories but they are the ones who could not be bothered sharing their stories on here because they are too busy enjoying life. I was on the Boston One seminar yesterday. Never heard about them before. They told how cool to invest in property due to a great leverage and provided a motivational example: 400K property with rent $395 per week (sic!) would grow in price on 7% per year. Could you imagine how much money you get in 10 years! I find these kind of examples are an insult to the intelligence of any investor and a clear sign of a scam. hi tim, why is the $395 rent on a $400k buy, sic? at 7% growth, it would double in just over ten years...that's expected. Ive had IPs in my portfolio double in 6 years, some take a bit longer...Im interested in your thoughts. Has anyone had dealings with Property Wealth Forum in Brisbane (the 1% club)? I have been to one of their seminars. It all sounds impressive and appears to make sense. However, many people are strongly advising me to ignore their tactics. I would be interested to hear from people who have had previous dealings with this company regardless if you have or haven’t gone with this company and for what reasons (for or against). From the Property Wealth Forum website, I can just about tick all the questions Alan W (26/2/13) has listed. Thanks for the tip Alan W.
Yes I have. They have had some staff from Custodian Wealth Builders join them. I think they are all the same. I believe they sell property in areas of no natural demand and make fees of $30,000 to $35,000. Rule 1 for any serious property investor, get an independent valuation. May cost you $300 but could save you thousands. Thank you for a very well written post...informative and unbiased. Do you have any suggestions on a few property investment training companies, as you suggest, that are for real, and have no conflicting interests? I'm very keen to find one I can trust and learn something from. I invested in a property company in Melbourne around 6 years ago and found the information provided to me on the day was very useful! I guess in every company out there it has its good ones and bad ones ! My property has made me around 100 thousand dollars and I will be going back to buy another one soon. People are wrong to assume it may not work for them before going and finding out what it's all about! I recommend it to anyone to go and have a look. My finance broker and accountant gave me the asic details and told me to check with them before continuing. Agree with Karl, they speak well but make their money on commissions from selling property that is added to the price so investors end up paying too much. Hi there - let me be totally honest up front, i DO work for JDL, have worked in varioius areas for them for 6 years now - and although i'm not personally a big property person (I'm a Financial Planner) i just wanted it out there that they actually DON'T add the commission they make on top of the property house cost. They disclose the commission they make to the client so there's no secret or hiding of money there. Does anybody know much about Rocket Property group? They give free services and seem nice, except they look like real estate agents just selling the houses and apartments they have access to rather than actually providing a different service for a fee, which is what I would prefer. I think what they sell is overpriced for the areas they have them in and I don't think it's worth it. Anyone had any success with them? I know they advertise in the magazine too. Hi, I'm an investor that has worked with Ian and Lindy of Rocket Property Group. I bought an off the plan unit in Brisbane (near the CBD) which was actually really well priced for the market (low $300K for a brand new 1bed, 1bath). I'm a young guy and I really didn't know much, so they educated me on everything I needed to know before I actually looked at a property. They got me some nice incentives and a good solicitor as well. I'm actually planning on sitting with Ian and Lindy soon to discuss my progress so far and look at improving the portfolio with the next purchase. They're very kind, friendly and approachable, and they handled a lot of stuff behind the scenes for me so I could focus on work (which is super crazy right now). I'm pretty happy with them, and I'm hoping that my property values up at Settlement, which having looked at Brisbane recently seems like a strong possibility. You have been extremely lucky I would say. cost my husband & I our whole retirement, we have lost over $100,000. Now we are stuck with a property that we can't sell & can't rent due to masive over supply in the area recommended. This is a lifetime of debt for us. I don't know how sleep at night (no doubt better than we do). I’m not as far in as John – my first purchase settles on Friday! After speaking with Lindy at the Home Show I attended an intimate session with only a dozen interested people where Lindy, Ian and others went through the various types of property investment, and what worked for them. There was never a hard sell - just great information and tips to help anyone become a property investor. I was never pushed into signing anything or to pay any fees. They are happy to recommend solicitors, brokers, estate agents etc they've used previously around the county, but you don’t have to use them. I was sceptical and did my research on the developers – the 3 developers I’m using (for 3 properties being built over the next 12 months) have a track record that can be easily located, and I couldn't find any bad press on them. In fact I found some articles in local papers that had covered them previously as doing great work in the area! I think my prices are fair market prices, and are very close to what the banks have valued them at. 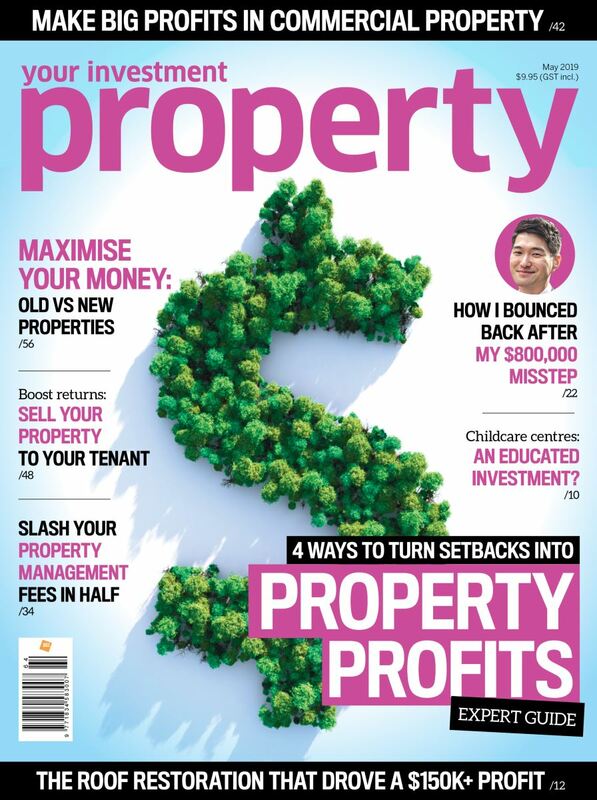 Plus, Lindy has won ‘property investment advisor of the year’ several times in this magazine. If they weren't good, they wouldn't be winning these awards, voted by you! There will always be scams and people will get caught but you can minimise your risk. Always best to research twice and buy once! Hi, i am new to the investment property market and looking at different options in how to get in to the market. I recently had a meeting with a company, has anyone ever heard of Wealth and Equity Investing or WE Investing? Are they a scam or are they a legit company worth working with? I am now on my second investment property with WE Investing. They found my first one on the northern Gold Coast which flourished pretty quickly (originally 435K now similar properties selling for 100K or so more). The second one was in Brisbane (have only had this one for about 10 months) it seems to be gaining value (i got in early on their recommendation and it made a big difference when other homes popped up in that estate).... So far so good haha also they helped me out finance wise, my old broker was rubbish. their recommended broker helped me out with a super low rate on my home mortgage and we run everything through an offset like they suggested. I have pretty small loan on the home now. I have worked for 2 large investment companies and suggest that some of what they train and the principles are actually solid. If you read to the end of this post I will give you an idea what goes wrong. 1) You are screwed if you do nothing! 2) property has a good track record for doubling at least every 10 years. 3) Provided population growth and inflation continues (no one can promise) you property will continue to grow and statistically double every 10 years. 1) The is a boom period, normally between 2 to 4 years max. Undersupply, market goes crazy, marketers dream, the herd (entry investors) chase this heated cycle hoping to make good gains from building assuming the market will continue to rise. Developers and builder crank up the machine trying to capitalise on the boom. The frenzy and greed ALWAYS causes an oversupply at some point. Vacancy rates go up as too many properties hit the market with insufficient people, rents come down as people argue over who can rent for the cheapest. 2) A correction period (Bust)1 to 2 years. Plummeting rents and lower return dishearten investors. People struggle to cover the gap between rent and costs. Media cries crash. Disheartened investors sell. The race to sell combined by declining market confidence causes prices to plummet. It is possible to see prices fall below intrinsic value (replacement cost). In metro cities the bust can be 10 to 15% in affordable properties and much more on luxury high end. 3) The recovery period. The bottom is reached. Prices stabilise but at prices below the heated market. Kinda like a bear market, people batten down the hatches. Population continues to grow, building approvals stay very low, excess stock slowly gets soaked up. These recovery periods can last 3 to 4 years. BUT these are extremely good buyer markets as you rarely fall from the bottom. At the end of the recovery phase you will see vacancy rates at super low levels, rents start to hike, confidence returns, the market suddenly realises there is an undersupply and the next boom starts. If you are patient and can hold your property and dont sell at the first sign of trouble, it will always come back (if population and inflation/economic growth continue). Show me someone who lost money in 10 years and you will see they brought in a declining population or economy or both. E.g. mining town that closed. However, you can understand people getting very upset if that by at the top and 6 years later its worth the same as they paid. They sell just as it comes back and someone else makes the money. Marketers generally chase heated markets and these heated market eventually oversupply and crash. If you are at the very beginning of this market, you can make good money in the short term. Take a look at Sydney for the last 2 years! However, most buy at the peak when hype is greatest. Price of land is overpriced, rents are high, builders are saturated and build times and prices are high. And then by the time you get your keys, the oversupply is kicking in. Your valuations and rent are on the way down. While the marketer probably did inflate the price (he gets a discount but then adds twice the discount) it is only part of your problems. Your property could have actually valued up when you brought. If you brought at the beginning of the boom you love your marketer because the rising market made you money by the time the key went in the door. My advice, wait till the bust is over and people are desperate. By your land at instrinsic value, drive a bargain with your desperate builder (watch he isnt going broke) as he can build cheaper and quicker because trades are desperate and available too. Rents are low but so are your loans. If you read the market right and you are patient, you can create positive geared property in the recession that will only ever grow, even if slow for a few years while you wait for the bull to arrive. While I am a developer and make money from building and subdivision in this period, you could buy 2 year old properties (as close to new as cycle allows for depreciation and maintenance) well below replacement value. Holding costs are still low because low rents are met with low cost of aquisition and loans. Timing is everything. I've done a lot of reading and researching into property investing. One book caught me in particular; "Grow Rich With The Property Cycle" - Kieran Trass. yourself. Is there a way I can contact you via email? I'd really like to learn more from you. Has anyone heard of Investors Choice Group? They are Gold Coast based and contacted us via my wife's mobile a couple of weeks ago, telling us how we could minimize our tax through property investment. We have had 2 meeting now at our house, and it all sounds too easy, we are suppose to meet the finance guru next week and get shown some properties, all are suppose to be brand new. Please let me know if these guys are on the level? Hi Wayne, how did you get on with ICG? I've just been on the phone with them too (also contacted my wife). Meeting with them tomorrow but does sound too easy. Be interested to hear your feedback. How didn't you go with ICG? Seems too good to be true.. I had a meeting with John in Sydney. Really great meetings, I have seen him 4 times now. Also went to view properties and purchased. I don't know about the other people but we had a great experience. We brought in Qld a finished property, tenant was in 2 weeks after completion. Only thing was the property manager got us $540 per week and I asked for $550. Hi just interested in how you went with investors choice group? We are looking at investment property's at the moment with them? I just had a guy from Life Capital visit us at home. All seemed good and he almost sounded like he knew some things about property, tax and super. He looked way too young though. I don't know much....but it's usually pretty obvious what is going on when you see the facial expressions, tone of voice and general body language change when you tell them in no uncertain manner that you will not be signing or paying for anything on the spot. It's the same look and body language a used car salesman has after you get back from a test drive has and he realises it is a 'no sale'. Excellent words from 'Against The Herd'. Thanks. I've been in the industry for a while. This is how the game goes. 1) Telemarketing calls you offering you something along the lines of "government incentives" or a "free financial health checkup". They will ask you about your income, home details and attached mortgage, dependents, other investment properties, super - maybe some other minor questions. 2) They send someone out to your home who shows you a way to pay off your home in half the time, save $10K in tax, plan for your retirement and or own multiple properties in a relatively short timeframe. 3) From there you either go into the company's office and speak to the finance person and the property person or you go to a "wealth builder" expo - eventually for the same result. Basically, someone comes out to show you the concept of how new property can work for you. You then see the finance person to see if you can get the appropriate loan. You see a property guy who has sourced a house and land property for you. From there you sign property contracts and the loan process is started. The usual steps in buying a home ensue. I've seen a bunch of posts saying that this is a SCAM. BEWARE OF ALL COMPANIES THAT DO (X). There is some truth to that, but not much. Truth is, this process does work. IF and ONLY IF you get the right property. If you get a good tenant paying good rent in a good area you can literally save hundreds of thousands of dollars in interest and tax. If not, you can get into some strife. The dodgy ones mentioned are almost all funded by development companies (of at least that's where they make a majority of their money). Some of them sell good property in good areas etc. Most of them don't have the best properties available. At the end of the day it's often better to jump in and give investing a go than to read post after post about how all of these companies are shonky. Who else is going to show you how? Easier said than done to "do your research". I didn't think about all this...thanks for sharing this post. Anyone heard of Advanced Property Strategy- Nhan Nguyen. There have been a few seminars lately. If you could share you experiences that would be great. The Absolute best thing to do is when you want to purchase a property, Investment or owner occupier is look around. There is alot of realestate agents out there you can go see and they will show exactly whats available. To purchase property it is absolute best to go direct through your bank for the loan or your banks preferred broker. All this information about how to minimize your tax and get great capital gains through property can be very easily done through your accountant or bank manager. There is thousands of developments going on in every major capital city in Australia. you can go see the developer or realestate agent your self. Please stay away from night callers when it comes to property. Hi, I cannot say that I have used any property marketer systems since I research and write books on money. As I worked for one marketer I understand that the mentoring fees are actually paying for the company to keep running and any commission is profits. However it can all be legit and even create a system for a novice investor to follow. If you would like to learn from Nhan Nguyen I can say that I know him to be a person who likes to give value, although I have no experiences as a client. At least he has done the hard yards and gained wealth from using his own system, and you cannot say that for the sales guys who go out for a consultation. When learning about property or any type of investing, learn for yourself and do not be led by sales agents or trusted financial prof. who get kickbacks. Think about your goals and risk level you're happy with. Think about the possible roadblocks of a certain strategy before you do it. See ebook 'how to control your financial destiny' for more info on self-education. One of the biggest fears for investors with an early start portfolio is the determining when top reinvest, for one, and when to access funds to accelerate the growth of their portfolio. An article in the news section - http://www.yourinvestmentpropertymag.com.au/strategy/how-to-get-ahead-by-rentvesting-222571.aspx - confirms that there is real risk in reinvesting when the property market as a whole, or select suburbs experience significant price drops. Further, if the money borrowed is at a rate that exceeds the value of paying off the mortgage given the purchasing price point could be much higher than current value, all sorts of worry can enter an investors mind. Firmly establishing what loans are feasible without putting yourself in a sticky situation will help avoid the 'B' word (bankruptcy). Naturally that is a worst case scenario and would mean that subprime loans from places like fortressfunding.com.au become a necessity. A safer be could be to build a relationship with a good finance expert who can access the right funds and knows how to deal with the banks. A funding guardian angel, if you will. Don't touch custodian. Take at least $50K off any price and do your homework. Bought a property 7 years ago and is still worth $60K less than what I paid. I found their market reports and valuations to be a joke. I think they have council valuer in their pockets. Its funny how nothing ever changes. Wife and I went to a "seminar" last week, before we went I said to my wife, I wonder what the product will be, off the plan in Brisbane, or 4 bedroom new home in the back of some crap hole, both over priced to hell.......It was the second one. They follow the script to the letter. If you do nothing you retire poor That part is true. They show several examples of "clients", who, with much lower income have many more properties than you, making you feel like a loser. If you don't like seminars, you can do it yourself. find an area with high rental demand in a growing suberb, buy a Median style house in a decent area. Has anyone dealt with Australasian Property Investment Group? We bought a property off the plan through them 2 years ago in Branyan, Bundaberg (we are from Melbourne). Rental yields have been lower than predicted and the property has dropped in value. A real estate agent in the area has advised us we paid $60k too much for the property. We find this property a hindrance as we wanted to build a home of our own but were convinced by this group to stay in our current home for 6 years then sell the investment. If we sell now we will lose about $100k. If we hold onto to it, we have to pay for rental expenses, rates etc and the property may not go up in value. We have found out this company is going into voluntary liquidation. We feel very deceived and ripped off. Hi all I am in need of some advice. I have been a renter since i was 18 and i am now mid 30s up until 4 years ago when i purchased my first property with my partner. So i personally have been a rental tennant for many years till this purchase. We recently moved to a family homestead on a farm and decided to rent out or house. We live in SA and recently completed a landlords inspection due to current tennants failing their previous inspection 28 days prior. They were given a notice with a list of all the things to fix up that were unsatisfactory/damaged and things that were in breach of there tennancy agreement within 28 days and a reinspect would be done. They were given a date and time. They obviously got their dates mixed up as they were not expecting us so we found the house in the way it would be day to day. During the inspection that was carried out by our property manager and myself we found the tennants to still be in breach of almost all of their tennancy agreement and none of the required breaches had been remedied at all. Apparently although we have pictures of the state of the trashed house and all the ongoing breaches and that both myself and our property manager saw all of this it is not enough to prove anything to SACAT to have them immediately evicted. If we go to SACAT it costs us not the tennants and they still may not be evicted as none of there breaches are apparently considered major. If we give them the required by law 90 days to move out then they still obviously wont fix anything and the quotes to fix and clean is already $1000 . We wont get any of that out of them and we have also been warned that they could also stop paying rent in this time too. Does anyone have any advice as I cant see why a tennancy agreement is even done and signed by both parties if it doesnt actually have to be followed. It seems like this agreement which is required is not worth the paper it is written on. Why if tennants blatently breach the agreement with no consequences it is that landlords too cant breach this agreement with no consequences. Its simple to me of you legally agree enter into and sign a contract with a company that includes specific conditions but then breach that contract over and over shouldnt that company then have the right to end the contract immediately if they see fit. If my tennants are breaching their agreement why do i still have to play by the rules? Fair is fair right? Has anyone had any dealings with Xcela Wealth? Hi Doni, how do you know the property you bought is $20,000 more expensive? When and where did you buy it? Is it home and land package? you need to give more information and details. Our experience with Custodian Wealth Builders has been a nightmare. After initially running our finance numbers through InvestLoan and being assured we were covered to purchase the property, we were advised at the last minute that we were short $18,000 and had to come up with it for settlement to proceed...our first stress but we scrambled and came up with a solution. We had to constantly chase Custodian for updates on our build and never quite knew who we were going to hear from. Once the keys were handed over and we secured our tenants, then the houses issues started to appear. Our tenants kept reporting problems with blocked toilets in the ensuite and moisture through the walls, skirting and carpets in the WIR and master bedroom. We are good landlords so tended to each and every complaint promptly but the issues remained. Eventually we decided this was beyond landlord maintenance and asked Custodian for advice and they said it was our Property Managers job to deal with these issues....something they had been doing. We had our property manager contact the builder and we embarked on a 5 month battle to have these issues rectified. We thought they had been fixed because the issues seemed to subside for a period of time, until we had new tenants move in, a family of 5 so the house overall was being used more heavily. 3 weeks after our new tenants arrived, they reported not only blocked toilets but reported puddles of water in the master bedroom from the ensuite. Our property manager sent out a plumber to investigate and he indicated very early on that the problem could be quite significant. Following our original dealings with the builder, we contacted Custodian directly to enlist their help in dealing with the builder they had contracted. We were advised by Custodian that the builder was no longer trading so we wouldn't be able to call on them to fix this problem. At this point in time our plumber had identified the issue and it was big, the waste wasn't connected to the mains and this was causing the water to back up and flood. This defect also accounts for all of the other repairs we had incurred at our property over the years. We would have contacted the builder to fix this defect for us but once Custodian told us that the builder was no longer trading we went with the plumber who had identified the problem and had the issue fixed for our tenants as promptly as possible. Custodian said we could make a claim for the cost of these repairs, which would have been great until WE stumbled upon the builder and found out that they were actually still trading....Custodian had given us the wrong information and we were stuck with a plumbing bill for $6600 which was due for immediate payment....had we been given the correct information, the builder would have fixed the issue for us and that plumbing bill would have never existed. All of this occurred just before Christmas and we, a single income family with two young children, were left in tears trying to work out how we were going to pay the plumber and still give our two little boys a Christmas to remember. We approached Custodian, explained the stress and pressure we were feeling and asked for financial assistance based on our unique situation. Custodian did not offer to help us cover this substantial cost and pointed us in the direction of the builder. We approached the builder directly and they immediately dismissed us and said that despite the defect being present, they were not financially responsible because they hadn't been given the opportunity to fix the problem themselves because Custodian had told us they were no longer in business. Whilst this was happening, our plumber was then chasing us for payment and so with nowhere else to turn, we were forced to make a claim through OUR insurance company to take the pressure of us so we could pay the plumber. Let's not forget that this invoice would have never existed had Custodian given us the correct information. We went back to Custodian and they said we would have to take the builder to VCAT and make a claim through the tribunal. The one thing Custodian did was prepare the claim for us, even though we told them that the builder would defend the case by stating they weren't given the opportunity to fix the problem. We went to VCAT and that's exactly what the builder did and to be honest, that was fair enough. At least the builder was sympathetic to our situation and could see the mental, emotional and financial impact this situation had had on us and agreed to a small settlement to help ease our financial situation. Custodian knew that VCAT was not the answer for us but they told us to put the claim in anyway. Custodian didn't even send a representative along to our hearing for support. In fact, once Custodian had prepared and lodged the VCAT claim for us, we didn't hear from them at all! Following the hearing we were fuming, we had incurred costs as a direct result of Custodian misinforming us and they didn't appear to care in the slightest. A couple of months later we still hadn't heard from Custodian, not even to check in and ask how our hearing went. We decided that we weren't going to be treated this way and Custodian needed to be held financially accountable for their professional negligence. When we originally signed with Custodian we paid a substantial client fee of $12,900 to manage the build of our investment property to meet all building regulations…which it did not….and to become part of the Custodian family as clients. Time after time we have approached Custodian and asked for assistance but not once did they follow anything through to fruition. Following let down after let down, we prepared a letter that detailed our grievances, with any references to emails received from Custodian staff providing us with incorrect information that served as the catalyst for our decisions and actions. We strongly believe that Custodian had mismanaged our build and subsequent client relations and asked that they reimburse our management fee. We felt this would make up for not only the defective property they handed over us, the financial hardship it has created for us, their ill advice but also the hundreds of hours we have spent dealing with all of it. We sent them our letter and it took them 3 weeks to respond, after us again having to chase them for a reply. They hid behind an array of legal loopholes and basically put the blame back on us. They did not acknowledge their role in this horrible situation we have endured for 5 years and said they would not be reimbursing us any amount of money. So that’s it, because they are big business and we are the little client, they just get to do whatever they want. They already have our money and they just do what they want. I don’t know how John Fitzgerald sleeps at night; I know I couldn’t knowing I have caused a young family so much distress. So this is our story and it could have happened to anyone. Do your research, ask lots of questions and make sure you can trust the person you are giving your hard earned money to. I've been investing in property myself for 23 years and am very passionate about it. What I dislike and what makes me very sad is to see people getting ripped off by paying too much for a property so that high commissions can be paid out. I too am in this industry now where I help people get investment properties where they need some advice and assistance on how it can work for them. As i have an inside view I can say that if you are looking for help to invest then be wary of the marketing companies that don't actually produce anything ie they aren't a builder or developer themselves. Because the marketing companies need to make a profit they do it by adding to the cost of the property quite often and you get slugged. If you require help it's best to go to the developer and you'll pay retail for something they built at cost. Obviously like any business that creates something that's how they make their money. Commissions generally paid to an advisor that can help you come from that margin they aren't added on. Scammers will have their way of robing your money or property, if you don't do some research, listen to bunch of advices, have been gone to the property and live nearby it for awhile, talk face to face with real people and talk to the homeowner for the selling price beforehand. I learn alot from this article. It is would be such a worst nigthmare to be a victim of these. The reality is that when people fail as real estate investors, they disappear into the night and we often never hear from them ever again.. The truth is that many people still fall into this trap and do not take the need for precaution seriously enough. A knowledgeable real estate expert can really give the right kind of guidelines, provided that they know your stand, abilities and individual situation. Loosing that great amount of money is extremely unpleasant and it will cost you nothing but a fraction of your time and as a reward you will gain the certainty of your investment and a peaceful sleep at night. Does any-one have any experience with Capital Wealth Managers ? Located in the Gold Coast area Qld . Have just found that even in there own marketing brochures contradicting years when they were established. One brochure stating 1998 the other 2007 - Interesting !!! Any one entering a property investment strategy needs to understand that it is a tax minimisation strategy. ARE YOU ABLE TO DEAL FINANCIALLY FOR DOWNTURN OR VACANCY? Do not expect to be making an INCOME (positive gearing) through your investment Property for a very very long time. You will enter a property investment strategy to MINIMISE TAX. BE SURE TO HAVE A SEPARATE TAX ACCOUNTANT, ONE THAT IS NOT INVOLVED IN PROPERTY INVESTMENT COMPANY. THEY WILL TELL YOU IF IT IS A GOOD STRATEGY FOR YOU BASED ON THE AMOUNT OF TAX YOU PAY. YOUR LAWYER, MAKE SURE THEY SPECIALISE IN PROPERTY LAW AND IS INDEPENDENT OF THE FOR-MENTIONED. What a ridiculous statement - "You lawyer and tax accountant will have a feel for property prices and wont hesitate to tell you if it seems like a high price." - you are suggesting people get property advice from professionals from other industries??? Pfaff! Has anyone dealt with OpenCorp out of Melbourne?? Would like any feedback!! My experience is exactly like yours. I’m a single mother that invested and was promised so many things on the phone and they have ruined my investment. I have been dealing with this for over a year and praying to get my money back. @Kate, I think you may have been replying to a specific post but I'm not sure which one? Whose experience was your's exactly like? And who has ruined your investment? There are hundreds irresponsible or just incompetent real estate brokers, aspiring to get more and more money than to be helpful. It is crucial to find someone recommended by many clients and not to believe a 'one-day' or over-night companies and people, who are planning to get your money and disappear. My friend was scammed and lost $10 000 working with a fake service.